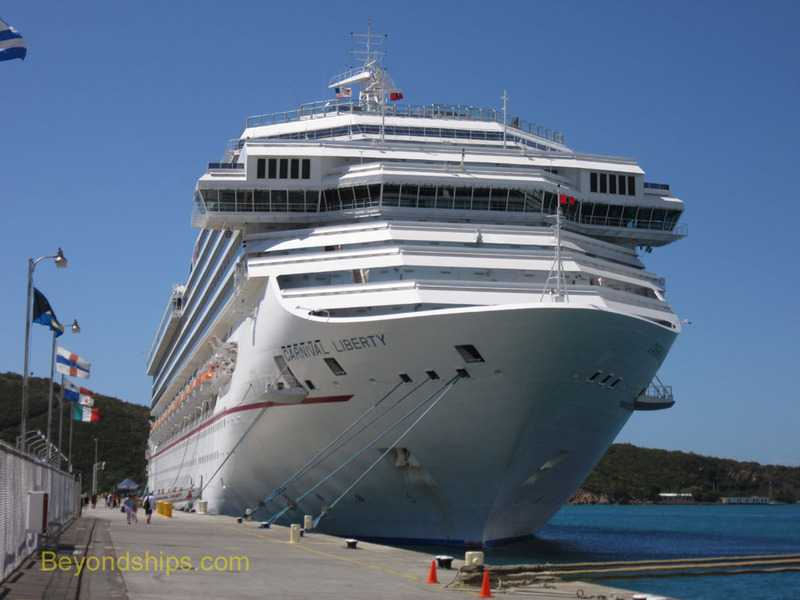 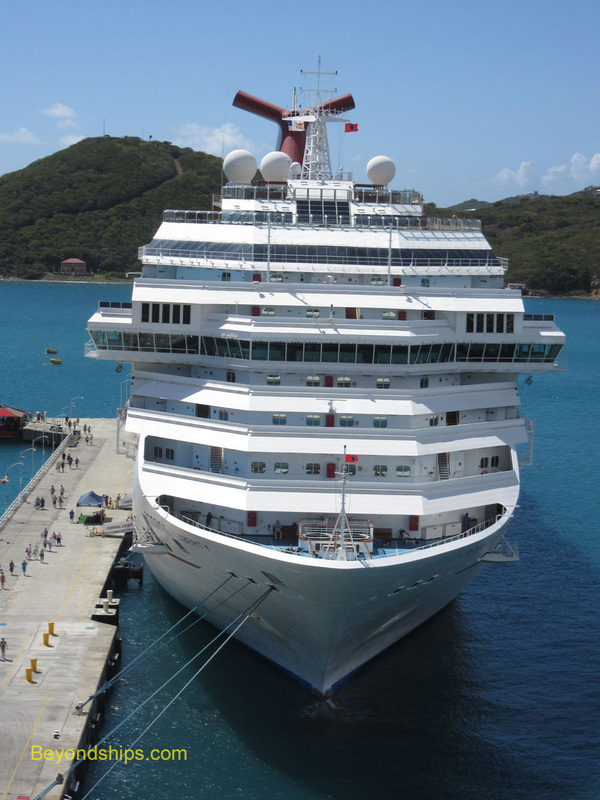 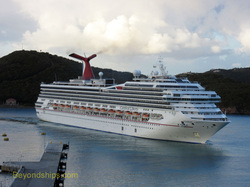 In this feature, we see Carnival Liberty in the popular cruise port of St. Thomas. 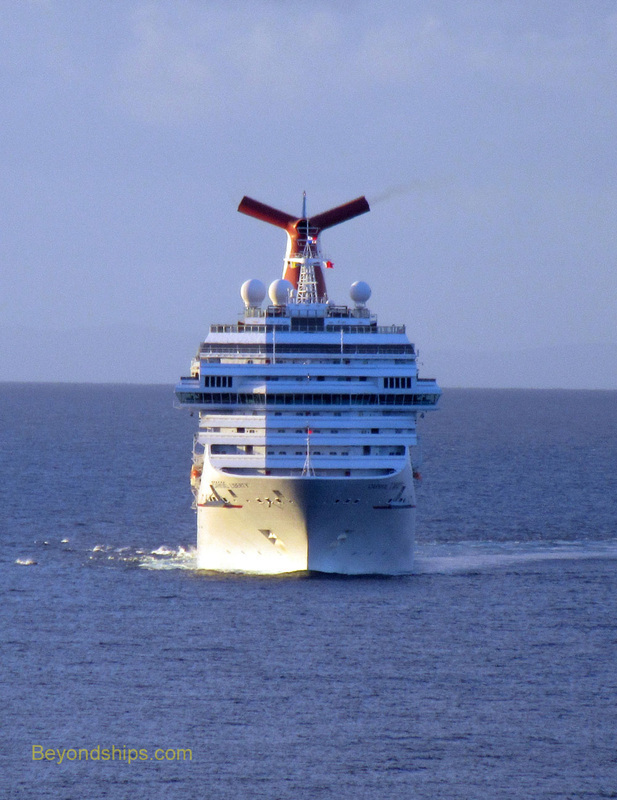 Early morning clouds greeted Carnival Liberty as she approached the island. 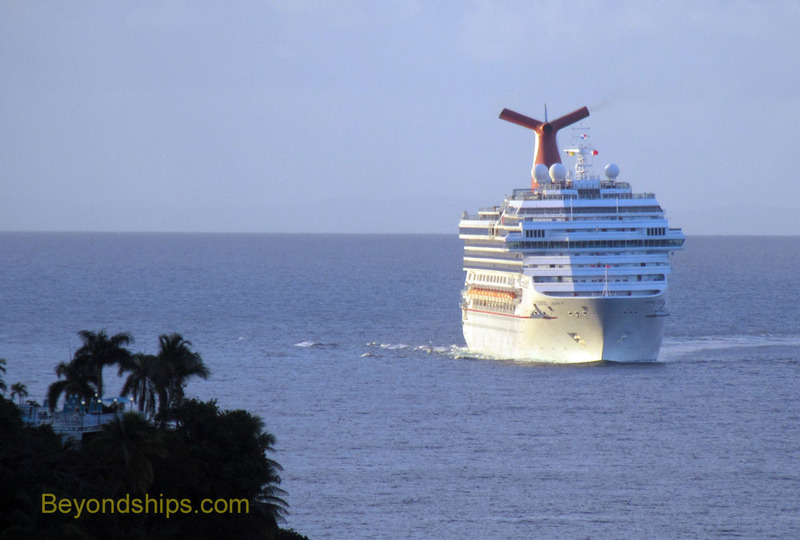 After picking up a pilot, Liberty turned toward the mouth of the harbor at Charlotte Amolie. 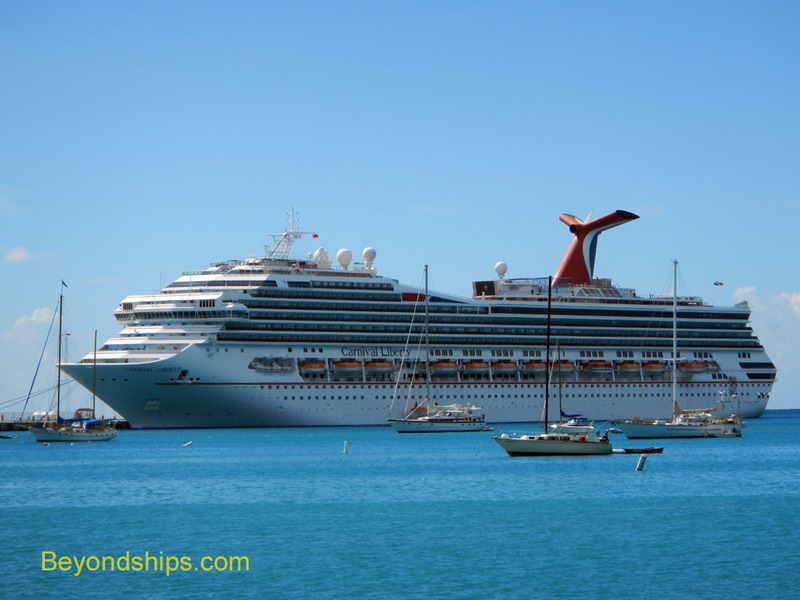 Entering the harbor, Carnival Liberty made a right angle turn to starboard in order to approach her berth at the Havensight cruise terminal..
Safely along side, Carnival Liberty waits as her guests explore the island. 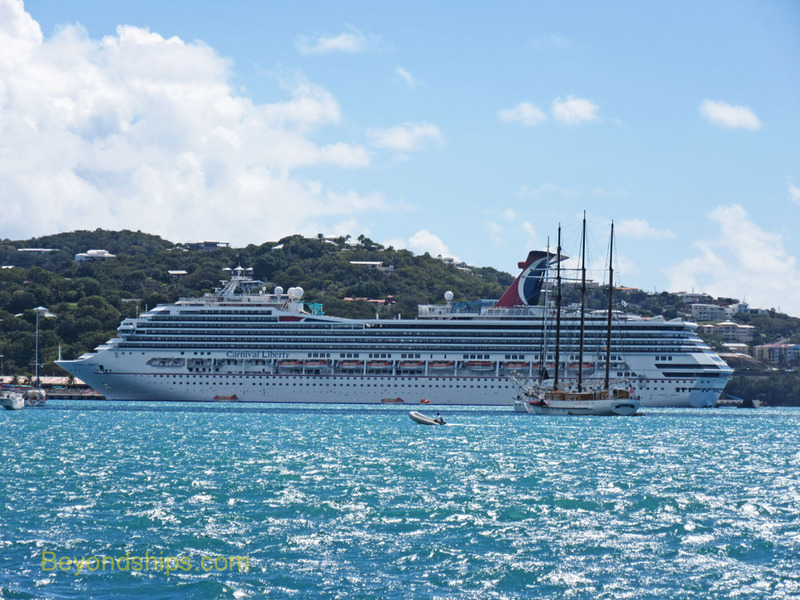 Carnival Liberty and Norwegian Breakaway in St. Thomas.